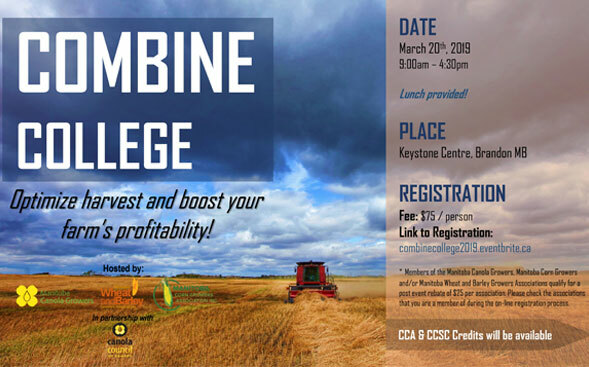 Listen to Canola Council Agronomist Angela Brackenreed talk about Combine College here. * Members of the Manitoba Canola Growers, Manitoba Corn Growers and/or Manitoba Wheat and Barley Growers Associations qualify for a post event rebate of $25 per assocation. Please check the associations that you are a member of during the on-line registration process.